Chop all the ingredients very finely, add salt and pepper. 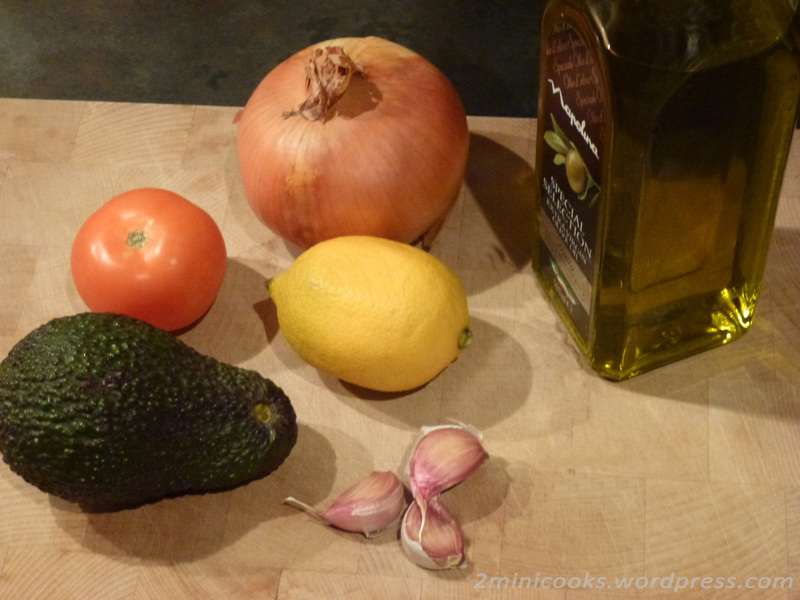 Mix it together with 1-2 tbp of olive oil and lemon juice. Finely add the parseley and coriander. LOVE me some guacamole and yours looks so colorful and tasty! I like that it’s still chunky and not smashed into a puree. To me the chunky makes for a better texture and taste. Now I’m hungry again… 🙂 Thanks for sharing this. I find guacamole to be great for the mood. It tastes like summer. Pure and Simple. I loved how you presented your article. The pictures were appetizing. Keep up the great work you too. Around Montreal, it’s around the -20 degrees mark so we need it even more. I love the fact that we can make it summer in our kitchen regardless of the weather outside. 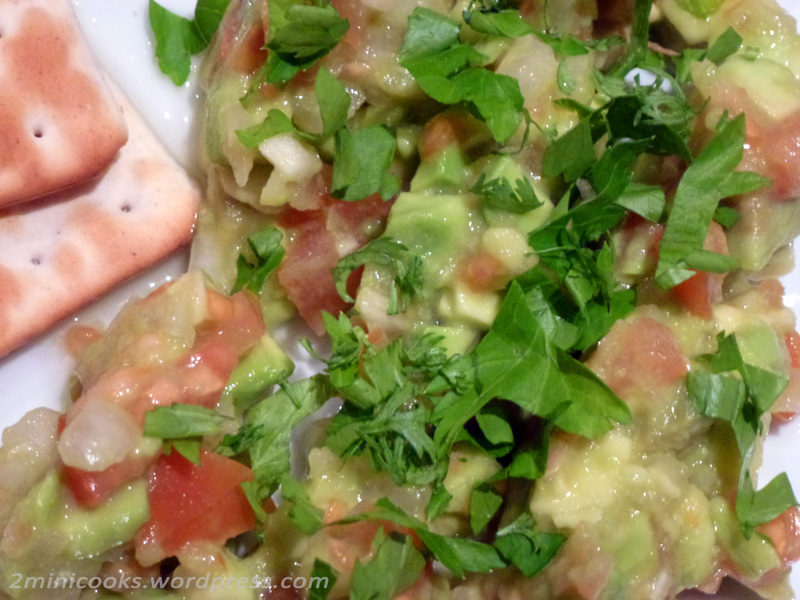 Nothing better than homemade guacamole . . ..
Not when it’s like this Bill! Second what someone else said. Guac tastes like summer. The best.